SilcSkin™ is developed a non-invasive method of fighting wrinkles. 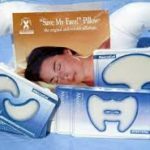 The anti-wrinkle pads are made of 100% medical grade silicone. When worn, electro static energy provided by the pads can improve the irregular collagen structure and also create an increased blood flow which results in an improved skin tone. 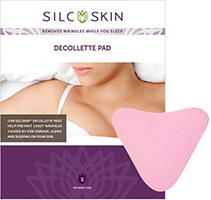 Pads are available for décolleté, face, eyes, brow area and neck. Be the first to review “SilcSkin” Click here to cancel reply.